What's New For The 2019 Honda CR-V? The 2019 model year finds the CR-V, the perennially best-selling compact crossover from Honda, steady in its fifth production cycle. An additional paint color is the only change in this model. What Trims and Features are Available for 2019? The 2019 Honda CR-V is available in four variants: LX, EX, EX-L, and Touring. Although a five-seater, the CR-V supplies 105.9 cubic feet of passenger space with the EX, 102.9 cubic feet with the EX and EX-L, and 101.6 cubic feet with the Touring. 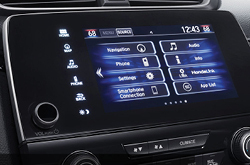 On the LX, expect features such as cruise control, hands-free wireless connectivity for hands-free phone calling and audio streaming, a four-speaker audio system, a USB port and an auxiliary audio jack for hooking up portable media devices, and a 5-inch color LCD screen. Upgrading to the EX adds front-seat heating capability, 12-way power adjustability with 4-way power lumbar support on the driver's seat, push-button engine start, dual-zone automatic climate control, a driver information interface, an additional USB port in the front and two rear charging-only USB ports, a six-speaker audio system (instead of the four-speaker), HondaLink remote connectivity, a 7-inch color touchscreen (to replace the 5-inch screen), Apple CarPlay and Android Auto for smartphone integration, hands-free text messaging ability, and a trial complimentary access to SiriusXM satellite radio. At the EX-L trim level, the crossover vehicle is upgraded with leather upholstery, a driver-side 2-position memory system, 4-way power adjustability on the front passenger seat, auto-dimming ability on the rearview mirror, a garage-door opener, and eight speakers. Only the Touring has HD Radio, a satellite-linked voice-activated navigation system, and nine-speaker audio. On all trims, cargo volume is measured at 39.2 cubic feet, with the option of folding down the rear seats to expand it to 75.8 cubic feet. The EX is the only 2019 CR-V trim that is powered by a 2.4-liter inline 4-cylinder engine with 184 horsepower and 180 lb-ft of torque. The other three trims go with a smaller 1.5-liter turbocharged 4-cylinder, which had an output of 190 horsepower and 179 lb-ft of torque. Both engines are mated to a continuously variable transmission, which, when joined by the standard front-wheel drivetrain and the smaller 1.5-liter engine, provides the crossover's best fuel economy: measured at 28 mpg in the city and 34 mpg on the highway. 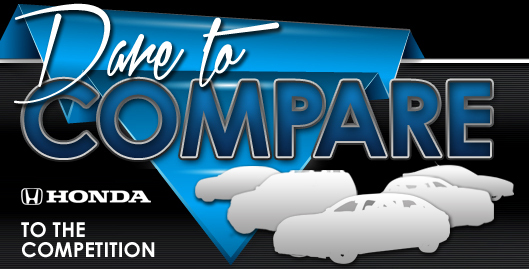 However, for improved driving on virtually any surface, Honda provides the choice of getting an all-wheel drivetrain. Restraint and cushioning on the 2019 Honda CR-V in the event of a collision is provided by dual front impact airbags, dual front seat-mounted side impact airbags, and dual roof-mounted side curtain airbags. Other standard safety features on the CR-V include vehicle stability assist, a rearview camera with several viewing angles, four-wheel anti-lock disc brakes with electronic brake-force distribution and brake assist, auto high beams, and LED daytime running lamps. 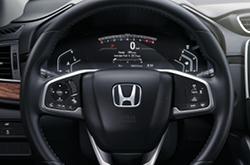 Honda adds blind spot monitoring, rear cross-traffic alert, and Honda Sensing (a driver-assist technology suite that combines adaptive cruise control, forward collision warning, collision mitigation braking, lane departure warning, road departure mitigation, and lane keeping assist) on the EX, EX-L, and Touring. 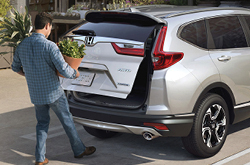 Come on over to our dealership to test-drive the 2019 Honda CR-V today!